Amid widespread development across south east London, Brockley has changed little at its heart. The area has retained its creative vibe and village-like atmosphere, while the food scene has come on leaps and bounds. Every year sees at least one great new opening and praise heaped on long-time local favourites. From pop-ups to pubs, here’s our round-up of the best places to eat and drink in Brockley. Brockley’s best coffee is found at Browns of Brockley, the pint-sized cafe opposite Brockley station. Square Mile beans and perfectly flaky pastries from Little Bread Pedlar are reason enough to visit anytime. The dense and doughy smoked salmon bagels are a weekend highlight. The welcoming Broca next door has always gone for a hippie vibe. Pick up fresh veg and a range of health foods to go, or stop at one of the mismatched tables for Dark Arts coffee, gluten-free doughnuts, soups, salads and the like. 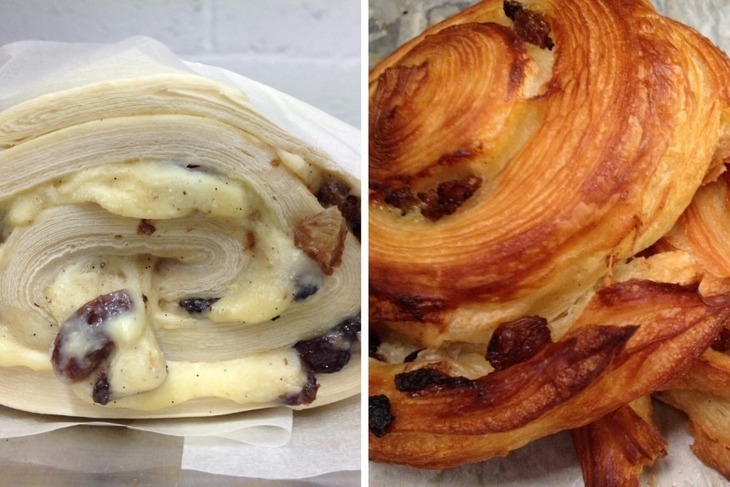 Serious pastry skills from Little Bread Pedlar at Brown's. A short hop north, the Brockley Deli has done the impossible by kick-starting the regeneration of the foodie wasteland that was once Brockley Cross. Pick of the snacks are the ginormous sausage rolls, Happy Belly scotch eggs and pastéis de nata, with a good range of sandwiches and savoury croissants, too. The deli items and wines are well chosen but unavoidably pricey. 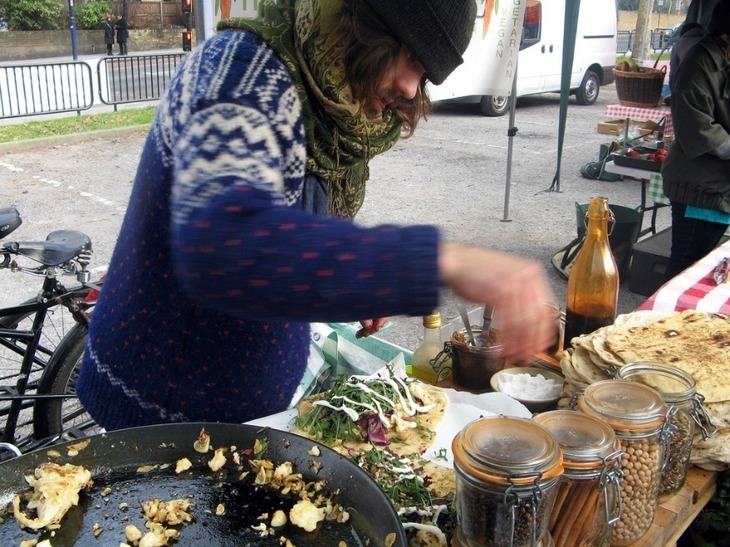 You’ll also find simple snacks and lunches in Brockley’s two parks. Hilly Fields’ Pistachios In The Park can’t be beaten for location – and wins points for being particularly family-friendly. The Hill Station, sitting between Telegraph Hill’s upper and lower parks, is a true community cafe, with creative pop-ups and events, as well as homemade cakes. South from the station, cafe/gallery The Brockley Mess, with its cute patio out back, has the edge on the brunch market. Kickstart your day here with one of the punchy coffee milkshakes, or go big with a breakfast burrito, French toast or a Pieminister pie. 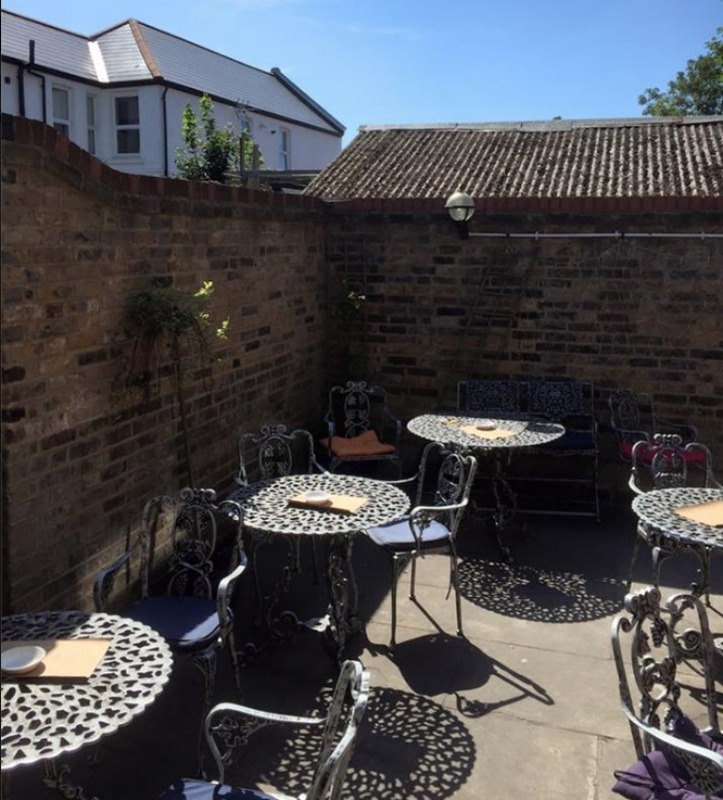 All-day bar-restaurant The Gantry does Brockley's finest bloody mary, best enjoyed with eggs benedict in the suntrap of a garden. They also serve breakfast until 1pm at the weekend: a saviour if you’ve had a lazy start to the day. Mike and Ollie at Brockley Market. The Orchard bar and restaurant knocks it out of the park with the full English – particularly if you can get there in time to bag a spot in the comfy sofa area. Sundays mean a roast on the regularly changing and locally sourced menu, followed by a packed-out pub quiz in the evening. 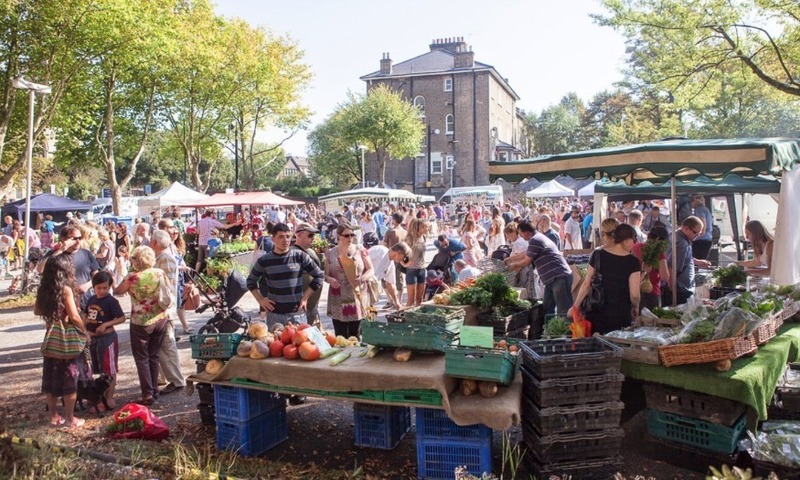 On Saturdays, it’s all about Brockley Market. You can put together a street food feast from some of London’s finest traders here: regulars include Mother Flipper burgers, Van Dough pizzas, Mike & Ollie, Sub Cult deli subs and Spit & Roast chicken. Natural wine superstars L’Atypique have also started offering the likes of fizzy red and cloudy Prosecco by the glass, as well as bottles to take away. 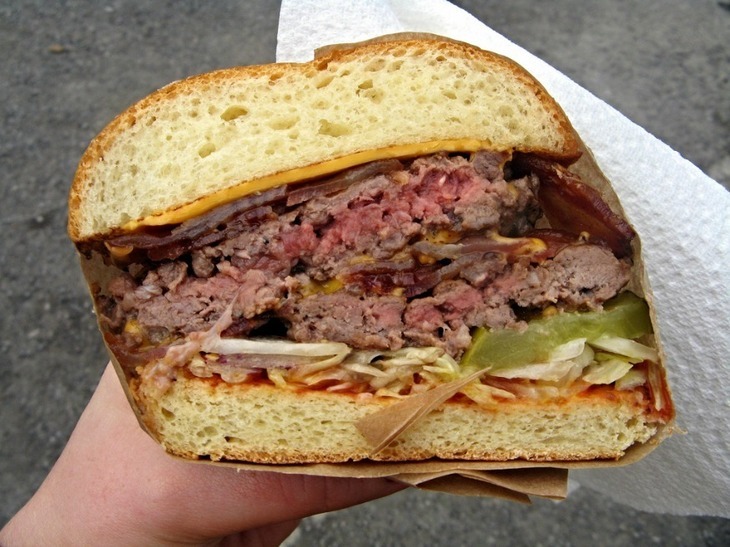 The candied bacon burger from Mother Flipper at Brockley Market. Having taken on country-wide chain Pho and won, Vietnamese restaurant Mo Pho has retained its quippy name, and its place in Brockley’s heart. The decor might be simple, but the rare beef pho, with its deliciously intense broth, is among the finest in town. Mother-daughter-run Masala Wala Cafe is where it’s at for authentic Pakistani home cooking. 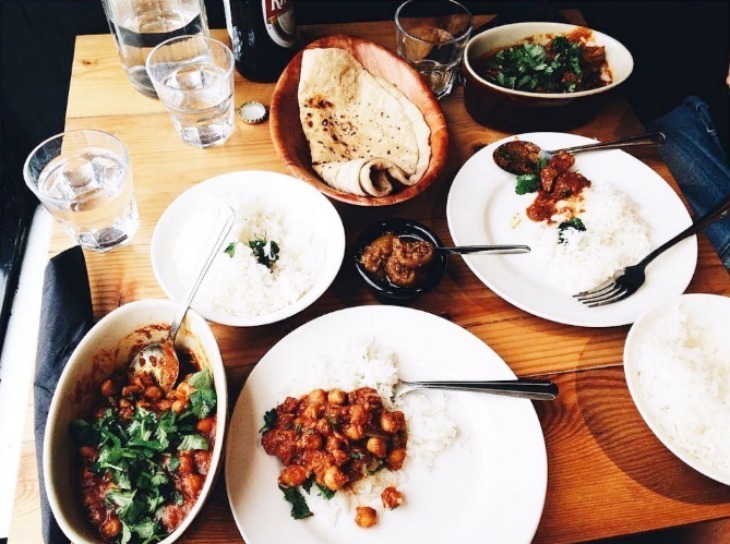 They serve a mix of veggie and non-veggie dishes (such as bhuna gosht, a spicy and slow-cooked lamb masala, and channa gobi, a cauliflower and chickpea curry) along with perfect rotis and rice. Note it's BYO for the moment, and cash only. Masala Wala serves authentic Pakistani home cooked food. 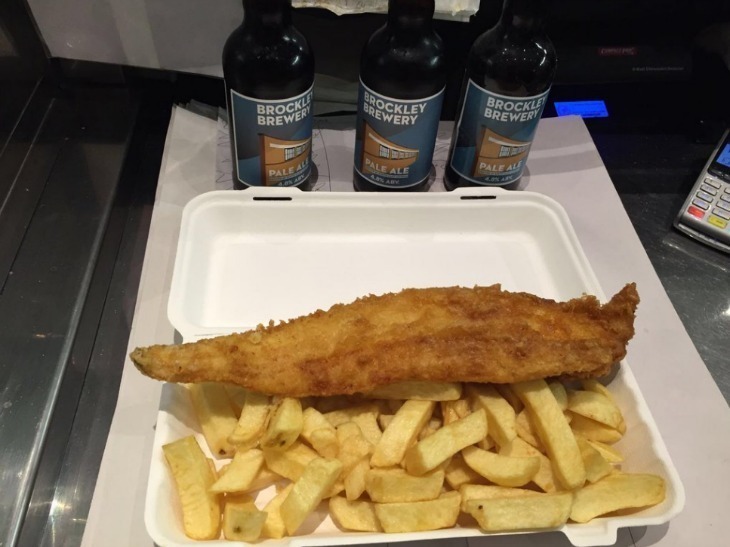 You’ll find your fish ‘n’ chips fix at Brockley’s Rock. Winner of the “Best Chippy Chips in London” award, it takes a more sustainable approach than your average chippy. Takeaways include sea bass and calamari alongside chip-shop favourites, with seafood platters, fish cakes and more to eat in. Brockley’s latest addition is the lovely L’Oculto, a stripped-back tapas joint from the Flavours of Spain team. Superb charcuterie and cheese boards (think dry-cured duck with a mango, chilli and lime chutney) make up the menu in the day. In the evening, the offering expands with pintxos and tapas to accompany the extensive wine list. Fish and chips at Brockley's Rock. For the perfect bavette and frites, along with classy British/European dishes, it’s back to The Orchard. There’s rarely an evening when this place isn’t buzzing, so it’s always best to book a table; get one by the giant fish tank if you can. The Gantry comes into its own for pre-dinner drinks, with happy-hour cocktails in the little street-level bar. Move downstairs into the warren of rooms for a “Gantry burger” (beef, veggie or fish) or classics like risotto and pan-fried duck breast. The Talbot. Photo by Ewan Munro on Flickr. 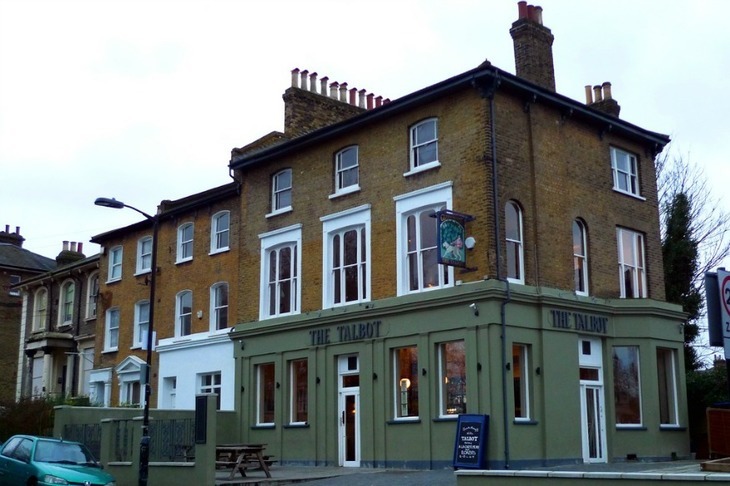 The Talbot is the highlight of Brockley’s pubs, with its spread of outdoor picnic tables, solid gastropub dishes and great drinks selection – expect everything from local ales to Chapel Down fizz. Proper boozers are thin on the ground here. Local Wetherspoon the Brockley Barge is better than most, while the somewhat rough-around-the-edges Wickham Arms offers pub-garden pints and pool. For the best range of craft beer, make for the London Beer Dispensary from Late Knights Brewery. At this bar without a bar you can order a range of on-tap ales, plus bottles and wines, all over a giant keg. The burgers (try the lamb patty) are a good shout for soaking up the booze. Beer garden at The London Beer Dispensary. Close by, Antic-run bar Jam Circus is one of the few places you can stay out late, with DJs and a 1am license on Fridays and Saturdays. The decor typifies Antic’s shabby-chic approach; book the quirky '70’s room' or 'Red room' for big groups. A nod must also go to the Brockley Brewery. This tiny workshop-brewery might only be open to drinkers on Saturday afternoons, but you’ll spot their pale ale across SE4 and beyond.